Penick was invited to nationals after placing first in the Level 1 Women’s Open Heavyweight Division at the Viking Highlander competition in West Virginia in August. Kori Penick ’13 shows her muscle at a strongman event in July. Strongman events include the log press, yoke walk or farmers carry, frame deadlift, The Husefeldt Stone, and the ominous-sounding, 210-pound “stone of steel.” For some events, Penick will repeatedly hoist more than 500 pounds. Penick, an office administrator for a Charlottesville IT company, competes as an amateur, but if she places in the top three at nationals, she’ll be eligible for professional status. 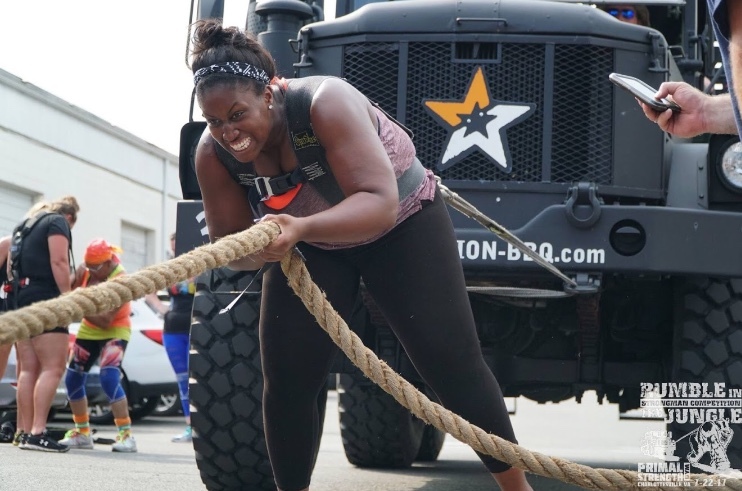 “My goals in strongman are to eventually earn my pro card and be the best that I can personally be in the sport,” she said.